1 + 1 = 5 and Other Unlikely Additions by David La Rochelle. 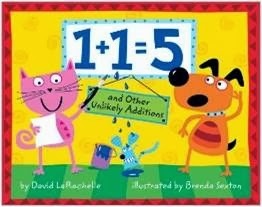 I use this book as part of my addition and subtraction unit. This year we are really working hard on knowing what an equation is and working with a wide variety of equations. 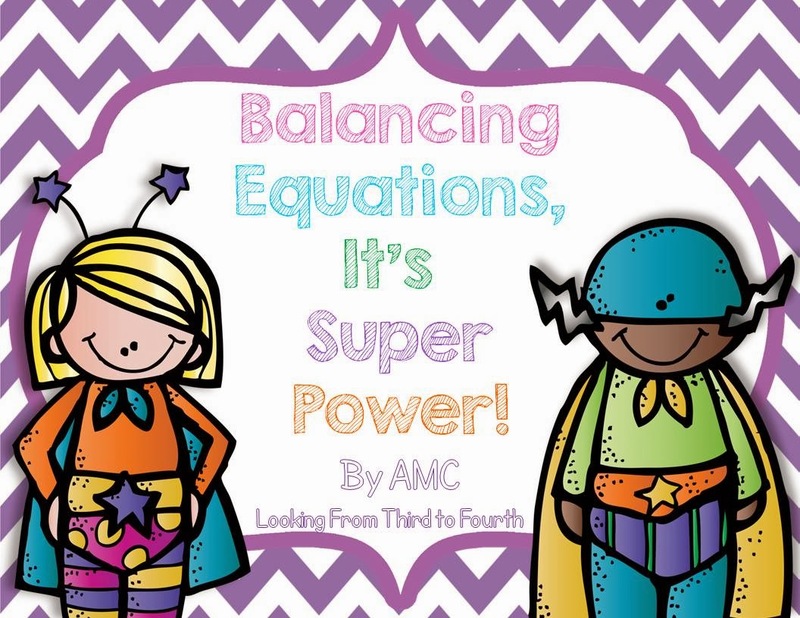 This book has some great illustrations and the equation is on one page and you have to flip the page to reveal how they got the equation. This makes for some great inferencing/guessing on the part of the students. I used this book as an intro to a problem solving lesson where my students had to solve for symbols. They needed to use a guess and check strategy and their addition knowledge to work through these problems. This is the first year that my students did not stress out when trying to deal with these symbol equations. 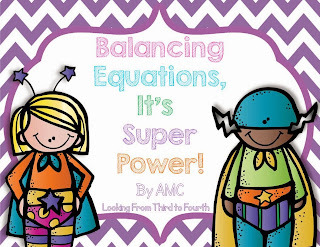 This year I am really focusing on providing them with multiple experiences with balancing equations since it has typically been a weak area for us on testing. 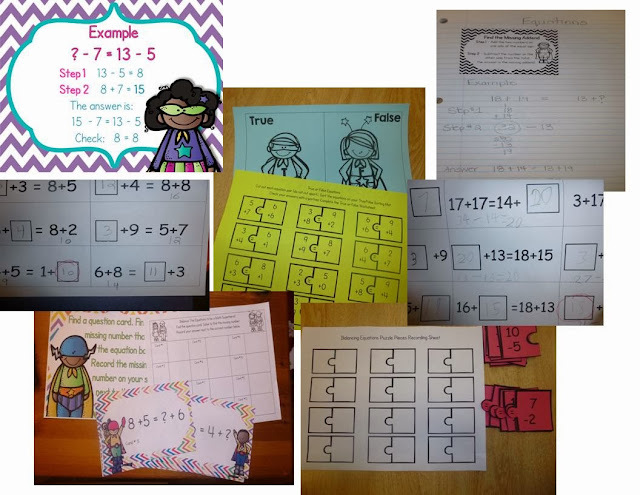 I created a unit that will help me address equations throughout the year, through posters, worksheets, activities and models for their notebooks. Click here if you would like to check it out. Here is a link to the teacher's guide for the book. This is another activity you could do with the book from School is a Happy Place. This book sounds great! I just added it to my Amazon Wishlist. Thanks, Anne! I can't believe I haven't bought this book yet! I really do like it and I love how you used it with variables! Great idea! Thanks so much for linking up! I hope you have a great week! What a cute book. I'm going to have to pick this book up for next year. I love how you use it with your kiddos. Thank you so much for sharing! This is exactly what the students in my afterschool tutoring need to work on. This will be perfect! I see you received your book and made great use of it. I like the lesson idea. I'm pinning. 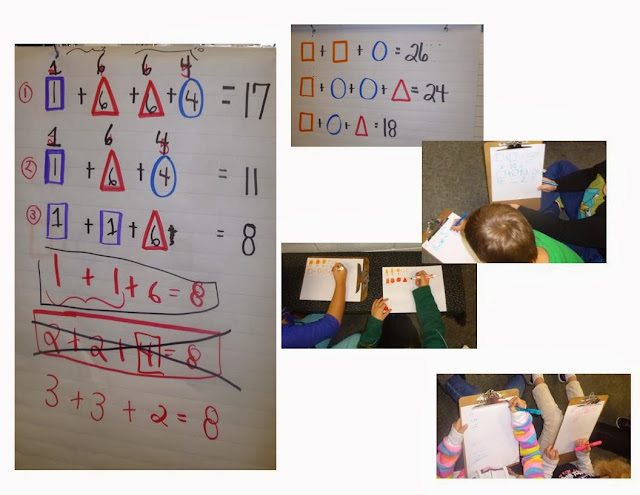 Believe it or not we are working on this type of problem solving in first grade as well. Yikes! What a great book! I have never heard of it before - but will definitely need to check it out! :) I know what you mean about the linky party being expensive - my Amazon cart is ever-growing! I love your packet - and thanks for sharing the link to the teaching guide.